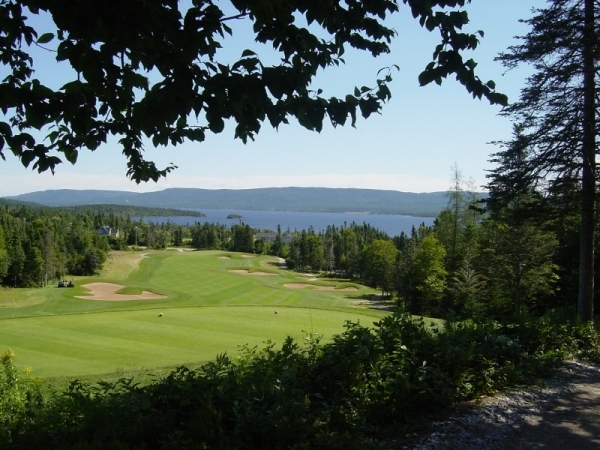 The multi award winning River Course designed by Doug Carrick opened fully in September 2007. 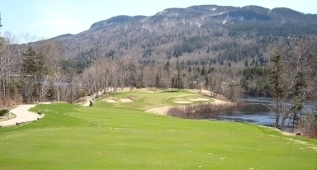 The course affords dramatic views over the Humber Valley and Deer Lake. Its layout, with gently rolling terrain, generous fairways and undulating greens gives experienced golfers a welcome challenge yet also provides an enjoyable round for novices. 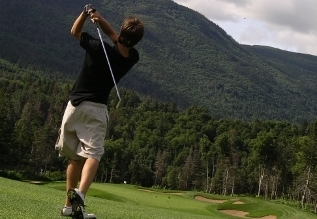 Several holes are played alongside the tranquil Humber River or the shores of Deer Lake. A number of natural ponds dot the course and natural streams meander through it. Breathtaking views can be enjoyed from most holes with the signature hole being the tenth where the tee is located 180 feet above the fairway and enjoys a long view down the valley. 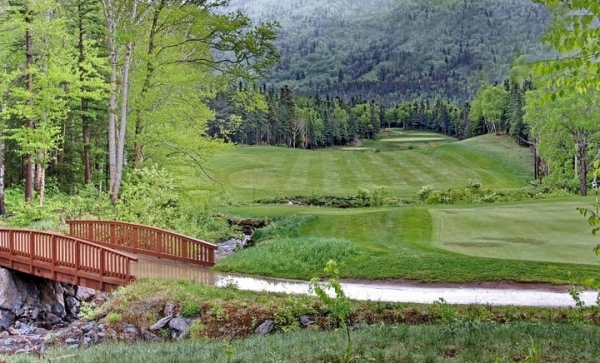 "the best course ever designed by Doug Carrick" and "in the face of stiff competition in Alberta and British Columbia, arguably the best course opened in Canada in the last 25 years"
The golf season in Western Newfoundland is weather dependant. Typically it runs from late May until the end of October or possibly early November. The River Course has 105 uniquely designed bunkers, 49 on the front nine and another 56 on the back. Cart paths exist on the majority of the course. Cart riders are asked to remain on the cart paths during periods of inclement weather to protect the course. 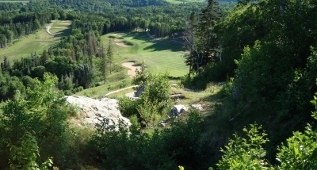 The pro shop is located on the lower level of the Eagles Perch at the top of the Resort. This is the location for checking in at the commencement of your round, payment of Green fees and for booking Tee times. In addition to being the center for management of golfing activities the pro shop offers for sale a range of golfing products, resort products and light refreshments.